Makes 1 roasted red pepper. 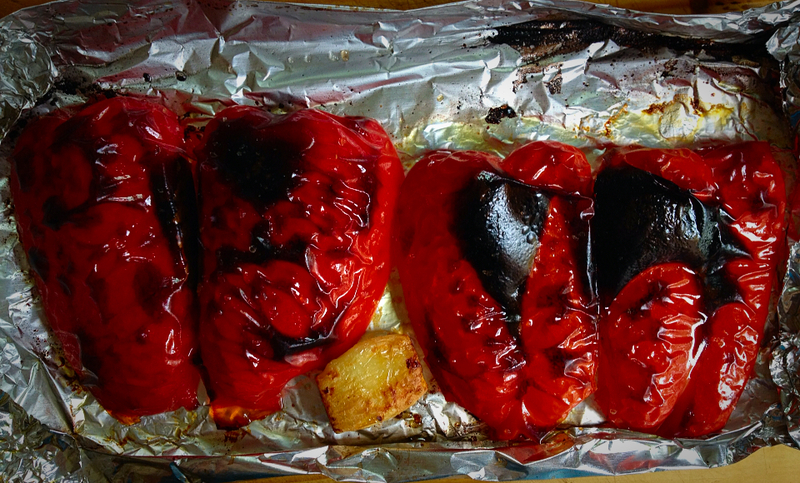 Roasting red peppers are very easy. They’re fresher and taste way better than the store-bought, especially when they come from your own garden. You can simply roast just one at a time OR if you have an overwhelming abundance, canning would be a great way to preserve them for later use. And of course, they make great gifts! 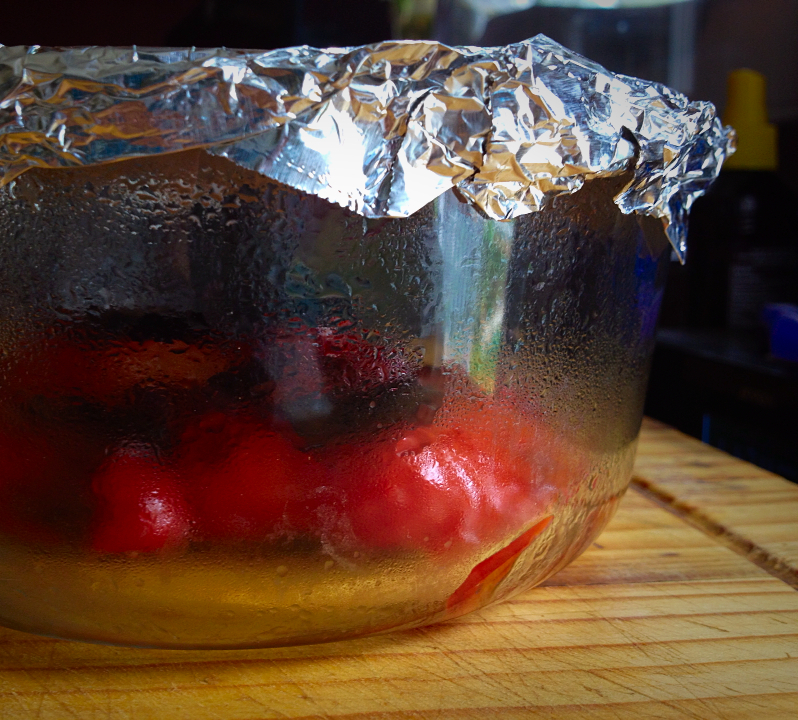 Pre-heat your oven broiler to high. After washing, cut the bell pepper in half. Get rid of the stem and seeds. After they are cool enough to handle, remove the skin. It should slide right off. And wa-la! 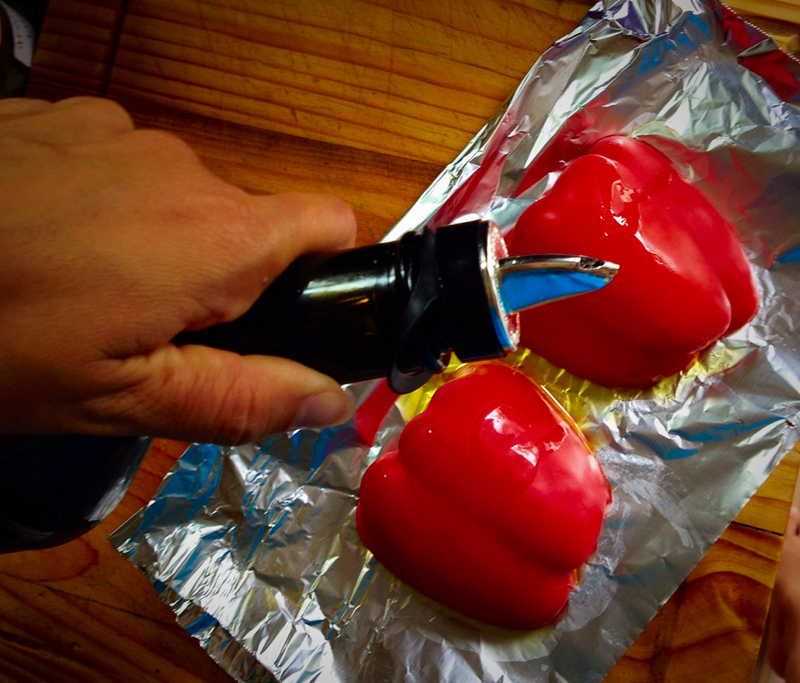 You just roasted a fantastic red pepper! Love! This entry was posted in Canning, Food, Future Use, Salads, Sandwiches, Technique, Vegan/ Vegetarian and tagged bell pepper, garlic clove, olive oil, red bell pepper, red pepper, roasted red pepper, Roasting red peppers, sea salt. Bookmark the permalink.